Fix your back pain for better sleep! Since many people already have enough trouble sleeping in the first place, adding back issues into the mix can make for a stressful night. But the good news is that learning how to sleep with lower back pain can make a huge difference. 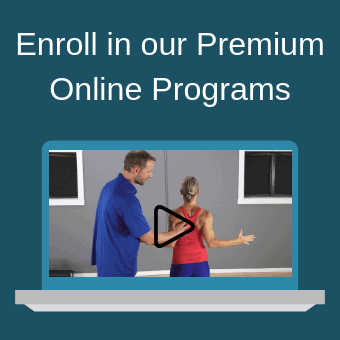 Millions of people are dealing with the effects of lower back pain for various reasons, including injuries from exercise or work, poor posture, chronic illnesses, or standing for long periods of time that puts stress on the spine and surrounding muscles. Regular low back pain can cause a person to sleep more lightly than they normally would and wake up more frequently during the night, according to the National Sleep Foundation. Thankfully, by learning the best sleeping positions for your back, you can feel immediate relief. 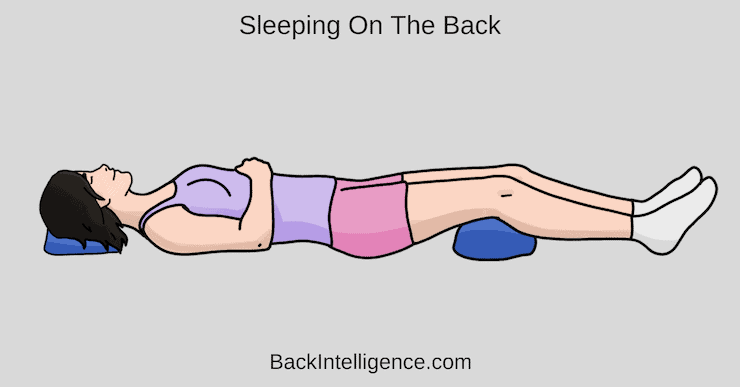 One of the more important factors in sleeping with back pain is the position in which you’re sleeping. You want to be conscious of your spine’s position during your resting state and try to keep it in a neutral position. ● Sleeping on your back is the best sleeping posture because it helps distribute weight evenly across the body, keeps the alignment of your internal organs in check, and reduces the amount of pressure points that you might experience from side sleeping. ● Tip: use a thinner pillow to make sure your head doesn’t protrude forward – which can contribute to forward neck posture. ● This is another great sleeping position for your low back. The reason is because it’s fairly easy to get your mid neck aligned with your shoulders and pelvis. ● It’s best to use a thicker pillow so that your head and neck are positioned in the middle of your shoulders. ● It’s best to avoid this sleeping position because it places additional stress on the muscles of your neck. If you can’t avoid this position, try to either use a very thin pillow or skip using a pillow all together. ● When getting into bed, first sit down near the place where you want to sleep. Then, using your hands as support, bend your knees and slowly lie down on your side. Take care to keep your torso straight. ● When getting out of bed, you basically want to do the opposite. Roll onto your side first towards the edge of the bed, bend your knees, then use your arms to help push yourself up and swing your legs over the side. This will help you keep from bending at your waist, which can engage your back. Use hot or cold elements on your back can help sooth your pain before bed. This could include ice or a cold gel pack wrapped in cloth applied to your back, taking a warm shower or hot bath, or using a heating pad or hot water bottle on the affected area for 15-20 minutes before bed. Hot or cold therapy can help reduce inflammation caused by lower back pain and promote relief before you go to sleep. Generally, heat is better for longer chronic back pain while ice is better in the first 72 hours. Much like sleeping positions, there is not one true type of mattress or pillow that will work for everyone with lower back pain. 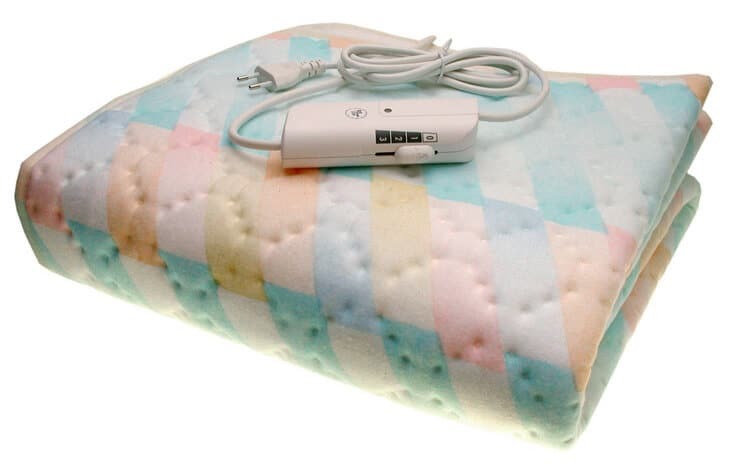 Some people have great results from a firmer mattress while others need something a little softer to alleviate pain. ● How long you’ve had your mattress? If it’s been over eight years, it might be time to do some mattress shopping. Although mattresses can last a while, their materials do break down over time and lose those qualities that help support a healthy sleep position. ● Look for pillows that can support sleeping on the back and on the side (as mentioned in #1). There are specialized pillows that are suitable for both positions. Remember that generally you need a thinner pillow when lying on the back, and thicker pillow when lying on the side. 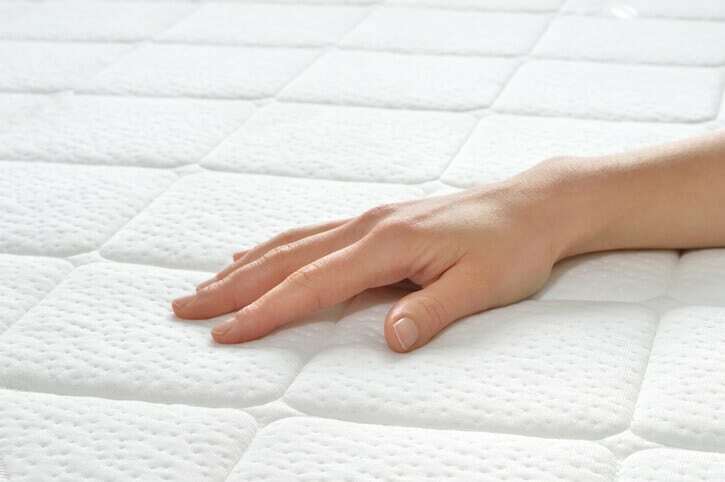 ● Look for a foam or innerspring mattress. You can even double down and add a foam mattress topper onto your innerspring mattress. 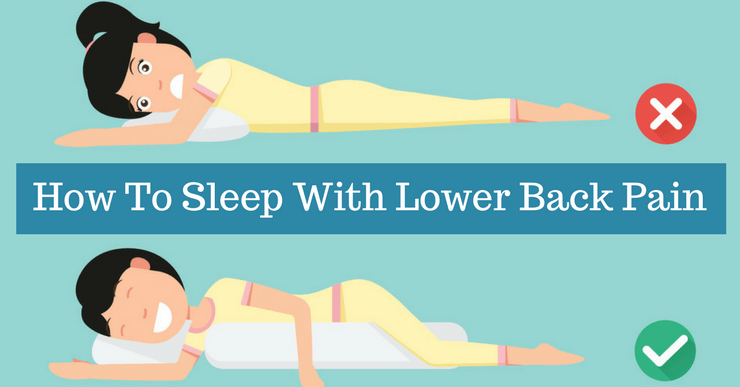 Now that we’ve covered some of the best options for how to sleep with lower back pain, let’s discuss the top things to avoid. These are big “don’ts” because they can just make the pain worse. Use the “Goldilocks and the Three Bears” analogy here: keep it not to arched and not too flat — because a neutral spine is juuuust right. Be mindful of keeping a slight, natural curve to your spine during sleep, and avoid positions that are extreme. Refer back to #1 in the “dos” for some ideas. Sleeping on the stomach is really the worst sleep position because it puts too much strain on the muscles of your back. 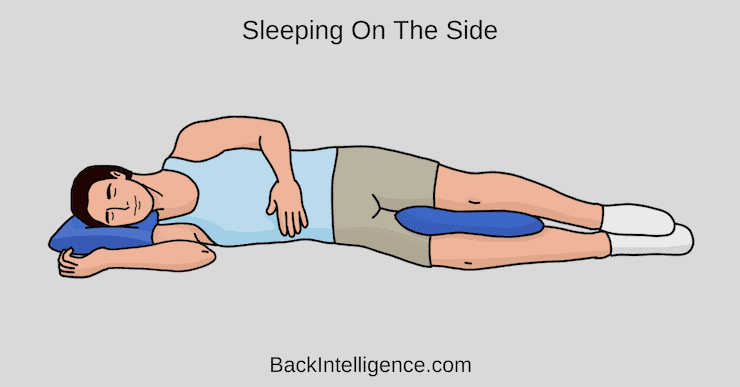 However, if you must sleep in that position, you can support the position more by sleeping with a pillow beneath your pelvis and lower abdomen. And always make sure the pillow is underneath your head and neck, never under your shoulders. You might be afraid of moving from one position to the other during the night, but it’s actually okay — and desired — to move some while sleeping. Any sleeping position, even if it’s a good one, can add up to too much pressure on your back if you stay there all night. Plus, there’s a risk of additional pain or muscle imbalance from this. Some people prefer mattresses that are softer than the average, but those with lower back pain need to be careful. A too-soft mattress won’t be supportive enough and can lead to extra strain on your spine. If you have a very soft mattress that’s causing you pain and you can’t get a more sturdy one right now, you might consider trying sleeping on the floor. It sounds odd, but a sturdy floor can actually be better than a soft mattress for those who needs the structure. Learning how to sleep with lower back pain take a little time to get used to. Sleep disruption is unfortunately all-too-common in our society, which makes it all the more important to practice techniques proper rest when you suffer from lower back pain. Use the tips from this guide to improve or remove certain elements from your current routine to ensure a more relaxing, peaceful, and repairing sleep each night.